It's when you're scrolling through your music library, observing lists of tracks, albums and artists, that you notice little inconsistencies in tags. Some tracks might employ different letter case rules, some might pad track numbers with zeroes. It makes your collection much less beautiful to browse. What are the main types of labelling inconsistency? 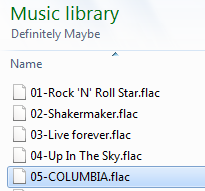 The track titles in the filenames employ differing letter case rules. Maybe it's just me, but these titles just look wrong next to each other. Differing case can also become more of a practical problem with some music players that are case sensitive. In music players, albums are grouped by the value of their constituent tracks' album tag. 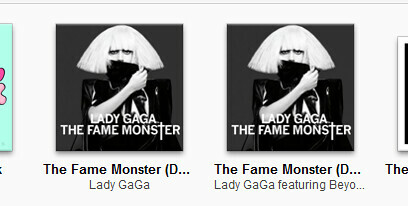 If the cases change between different album tags this may split an album according to case. You'd have thought track numbers are a simple matter: a plain integer denoting where in sequence any particular track appears relative to other tracks in its containing album. You'd be wrong (with one exception). And worse, the same thing applies to disc numbers (for multi disc sets). The most common inconsistency seen between tracks' track number tags is zero padding, or the lack of. This is much more common for track numbers than disc numbers, because it's rare that there are more than nine discs in a set (although it does happen). When tracks are ripped and tagged from FreeDB, or purchased and downloaded online, they may come with track numbers already padded. I've already covered zero padding in greater detail. Suffice to say, some track numbers may have the padding and some may not. Another type of inconsistency between track number and disc number tags is whether their position is denoted within the wider release. The common way of specifying this is, for example, "3/12" meaning track three of twelve. Whether this inconsistency is manifest in any ugly way depends on whether the tracks are listed together outside of the context of their containing release. Both types of inconsistency can be combined of course. Some tracks may have their position within the wider release zero padded and some may not. The exception to all this is MP4 which mandates that the track number field must be an integer, with no padding, track count or any other shenanigans. This simplification does make life easier, but for most music collections other file formats still need to be considered. Zero padding for track numbers is a rule already implemented in bliss, so you can easily pad all of your track numbers consistently through your music collection with one rule! It's not just disc number tags which contribute to disc number inconsistencies. Disc numbers are often included in album names to separate tracks in albums according to their disc number. For example: Atlantic Soul - CD1 or Ultimate Holiday Party Disc 3. There's a good reason for doing this. Some music players do not interpret the disc number tag, so there has to be some way of separating tracks for different discs. 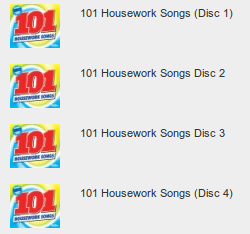 Otherwise tracks may play in a different order to that designed; tracks 1 from both discs, followed by tracks 2 and so on. Clearly inconsistent and ugly-looking when viewed alongside each other. ... and that album is not mine. These inconsistencies are fairly common, especially where the artist tends to get involved in many collaborations. Seeing all the tracks together in an album can all too often highlight the differences in 'featuring' text. Worse, an album can end up being split where the artist tags differ. All you can hope is that, given the same album should be tagged by the same original person, the labelling should be consistent. Like track number formatting, this is an area fixed by bliss, or at least partly. bliss can recognise featuring artists in the title tag and move them to the track title, if required. Just a quick rundown of some of the main labelling inconsistencies I see in music files. Hopefully we can improve bliss to easily fix these inconsistencies! Thanks to xavi talleda for the image above.